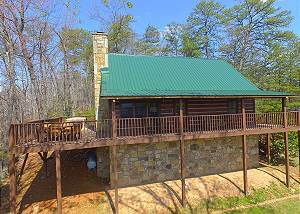 ALL NEW Gatlinburg cabin on rental program! "Almost Heaven" is guaranteed to be one of the top two bedroom rentals offered anywhere in the Smokies!... VIEW NOW. Take care of your cravings with the taste of Europe at Poynor’s Pommes Frites, where the food is always served piping hot and full of flavor! This unique snack shop is reminiscent of the streets of Germany where a bratwurst stand could be found on nearly every corner. Choose from a variety of specialty items including pommes frites, authentic German brats and freshly baked bröcthen, which are German hard rolls. Satisfy your sweet tooth with a yummy treat from Island Yogurt, the perfect place to take a break while shopping at The Island in Pigeon Forge. This tempting yogurt shop features more than 18 flavors and swirl combinations, so there are an endless variety of taste possibilities. Once you have decided on your blend of yogurt, choose from over 50 toppings to add to your delicious creation. There are even freshly baked waffle bowls for those who want to add some tasty crunch to their dessert. Experience the best fudge that the world has ever known at The Fudgery! This fudge shop has been dedicated to serving top quality fudge for over 25 years and now you have the chance to try it out. You can purchase fudge by the pound and choose from 12 delicious options including maple nut, extraordinary chocolate, rocky road and chocolate peanut butter. As if that doesn’t sound good enough, The Fudgery also offers other amazing products, such as their signature chocolate sauces and crunchy candy apples. If you just can’t decide what you want for a snack while visiting The Island in Pigeon Forge, stop by the Yee Haw Snack Shack. You can’t miss this stand, as it is located right at the base of the Great Smoky Mountain Wheel! The Yee Haw Snack Shack has something for everyone, including beef hot dogs, chili dogs, root beer floats, frozen lemonade and fountain sodas. This quick service snack stand also serves authentic New Orleans snowballs with more than 100 flavor combinations and toppings. If you are a popcorn fanatic, you will want to head right over to Kapop! This cute little shop offers 12 flavors of fresh homemade popcorn that is unlike any ordinary movie theater popcorn that you have ever tasted. Whether you want classic favorites like Caramel Corn and Kettle Corn or unique flavors such as Dill Pickle and Bacon, you can find it all at Kapop! If you are not sure which flavor to purchase, feel free to ask for a sample. Check out all of our Smoky Mountain cabin rentals today to plan your vacation near The Island in Pigeon Forge. We hope to see you soon at Acorn Cabin Rentals!